News outlets earlier in the week reported that media company Comcast-Spectacor is looking to sell the Philadelphia 76ers basketball team. Those reports broke the same day I posted my Q-and-A interview with Comcast-Spectacor chairman Ed Snider, who went 50 years before being correctly diagnosed with celiac disease. Reader Elisa S. was selected as the winner of last week's Betty Crocker and Bisquick gluten-free mix giveaway. Thanks to those who entered. In restaurant news, I can report that Ariano in Media (114 S. Olive St., 610-892-6944) serves gluten-free pizza, taking precautions to avoid cross-contamination. Thanks to reader Heather A., who mentioned this on the Facebook page. Mediterra, in the heart of lovely Princeton (29 Hulfish St., 609-252-9680), can accommodate gluten-free diners, as can longtime Cherry Hill staple Mexican Food Factory (601 Route 70 West, 856-983-9222). Thanks to reader Carol H., who let me know about the Factory. Center City Philadelphia's new Serafina restaurant (130 S. 18th St., 215-977-7718), which will serve gluten-free pasta, is set to open on June 22. Reader Tom P. let me know that Belzano in Princeton, which offered gluten-free pizza, panini and other items, recently closed. LOST Gourmet offers scratch, gluten-free meals made from local ingredients at the Phoenixville Farmers Market (200 Mill St., 267-738-1973) every Saturday. LOST - short for Local, Organic, Sustainable, Traditional - posts a weekly menu at its website, and orders can be placed online anytime through Thursday night each week for Saturday pickup at the market. The meals are created to accompany other goods at the market like fresh vegetables, local cheese and grass-fed meat. Newly launched Revolution Cider will be featured at during happy hour at MidAtlantic Restaurant and Tap Room (3711 Market St., 215-386-3711) on Monday, June 20 from 5 p.m. to 7 p.m., along with cider-inspired snacks from the kitchen. Williams-Sonoma confirmed this week via Twitter that gluten-free products are “coming soon.” The specialty-foods and kitchenwares retailer is expected to introduce a variety of gluten-free baking mixes from Thomas Keller, chef at Napa Valley’s famed French Laundry restaurant. 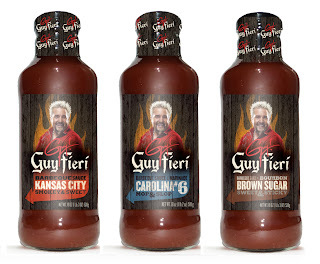 Chef Guy Fieri, star of Food Network shows “Diners, Drive-ins and Dives” and “Guy’s Big Bite,” has introduced a line of barbeque sauces - three of which are gluten free - along with four gluten-free salsas. 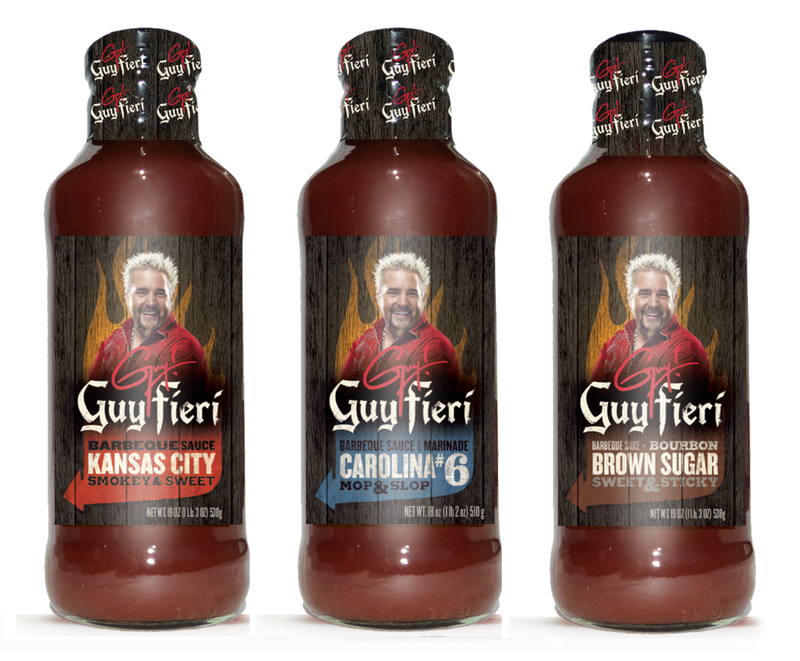 The gluten-free sauces are Bourbon Brown Sugar Barbeque Sauce: Sweet & Sticky, Carolina #6 Barbeque Sauce & Marinade: Mop & Slop and Kansas City Barbeque Sauce: Smoky & Sweet. Fieri's salsas are hot 7 Pepper Salsa: Burn Baby Burn, medium Chipotle Salsa: Da $pice Is Right and Original Salsa: Old Skool, and a mild Salsa Verde: Green & Mean. The sauces are available in 19-ounce bottles for a suggested retail price of $4.29, while the salsas, in 16-ounce jars, are listed at a suggested retail price of $4.79. Philadelphia Gluten-Free Ravioli Pasta Company's pastas are now available at Di Bruno Brothers' Rittenhouse Square location (1730 Chestnut St., 215-665-9220). Had the gluten free pizza at Ariano in Media tonight - PHENOMENAL. It was thin crust and the taste was as good as any pizza I ever ate when I was in Italy prior to my Celiac diagnosis. The gelato was gf too and AMAZING. Will def eat there again!